Win a Fashionary X Sibling iPad Pouch Limited Boxset! 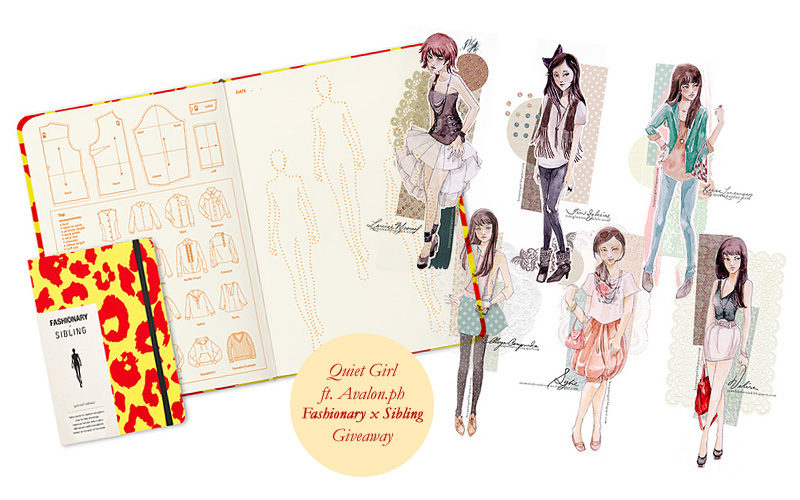 Quiet Girl (Ms. Valerie Chua) and Avalon.ph welcoming 2012 with this exclusive giveaway! We are giving away a Fashionary x Sibling iPad Pouch Limited Edition Boxset worth PhP5,000.00! Only 400 of this item produced in the world! Visit here for details. Good luck! 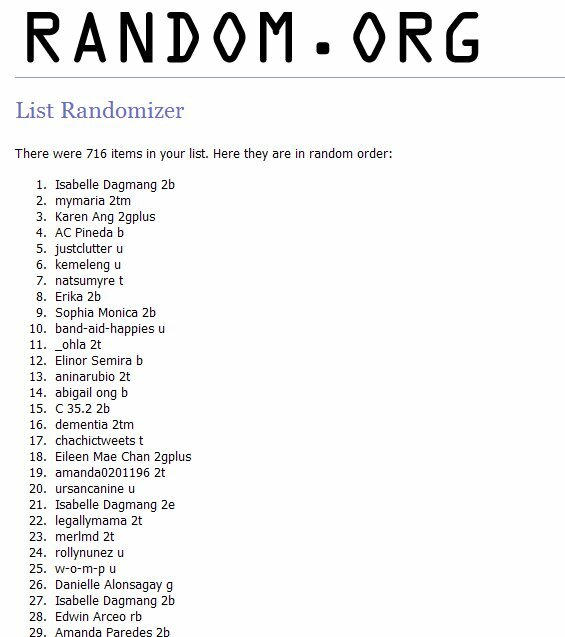 Congratulations to Ms. Isabelle Dagmang! 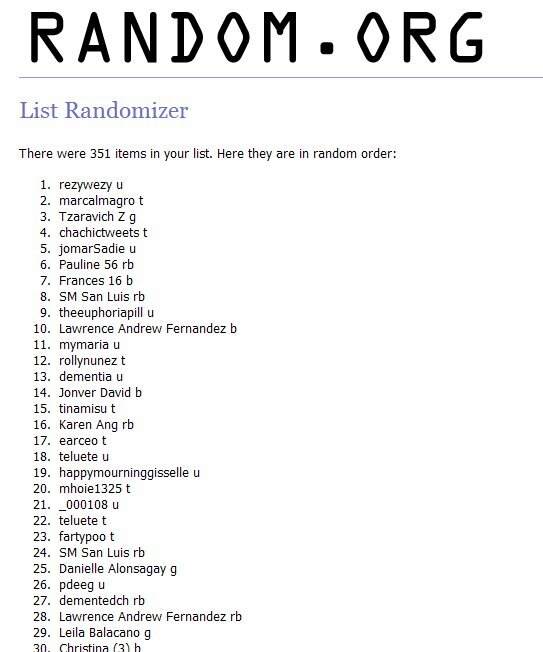 You won a Moleskine Weekly Diary/Planner 2012 (Large, Hardbound)! We will get in touch with you shortly. Thank you everyone for joining! Next giveaway: Field Notes! Details coming soon. 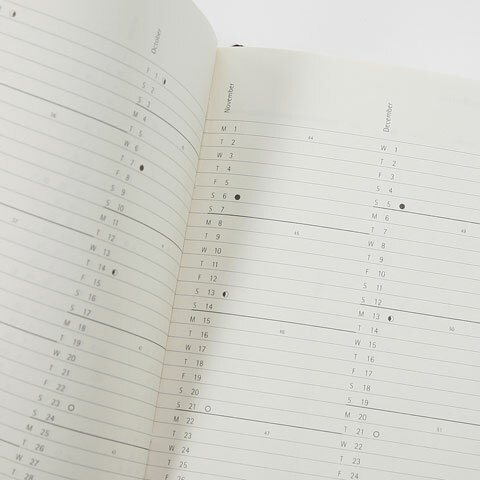 Moleskine Weekly Diary/Planner 2012 Giveaway! 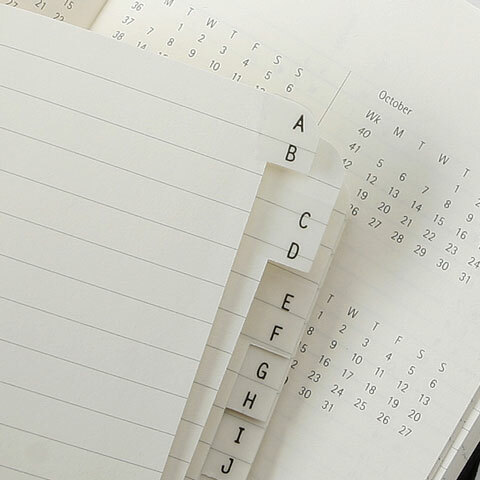 Win a Moleskine 2012 Large Weekly Planner (Horizontal, Hardbound)! 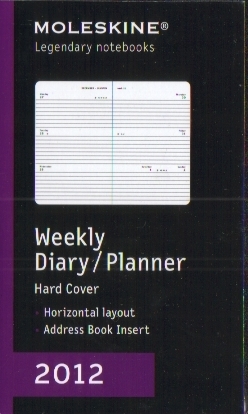 The Moleskine 2012 Large Weekly Planner Horizontal is dated from January 2012 to December 2012. 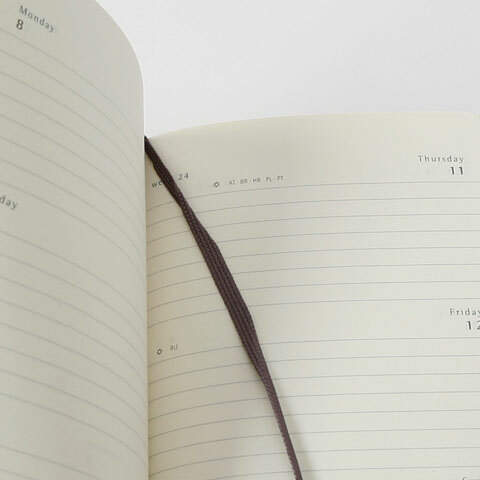 Formatted in a horizontal format to show each week on a two page spread (Monday, Tuesday, and Wednesday on the left page, Thursday, Friday and Saturday/Sunday on the right side), this popular planner style is perfect to have the week at a glance. The expandable inner pocket houses an address book of 28 lined pages with laminated alphabetical labels. You can remove and use it again in the years to come. Every Moleskine product is thread bound and has a cardboard bound cover with rounded corners, acid free paper, a bookmark, an elastic closure and an expandable inner pocket that contains the Moleskine history. What are you thankful for this year 2011? Note: Updated to “2011”, it was previously encoded as 2012. So if the comments section sounded a little off the question it’s our fault. Will still count as valid entries. Sorry about that. 4. Tumblr (+1 point). Check out avalonph.tumblr.com and reblog the specific Moleskine Weekly Planner 2012 entry posted in this Tumblr link. No follows required. 6. We would like to personally hear from you! Send us a private random sensible message (+2 points). Ask us anything! Where did you hear about Avalon.ph? Who recommended it to you? Which products from our past excited you most? Your earliest memory of us? Send us interesting stories about your Avalon.ph experience/discovery. Please use this link. Enter Subject: Moleskine Giveaway. 7. Maximum of 12 possible valid entries. All valid entries from our previous Moleskine Star Wars Giveaway will be added to the final entries list, so it is possible you’d have more than 12 points. – This giveaway is open only to residents of the Philippines with an address that is serviceable by major couriers. – Giveaway starts on Dec. 4 (Sunday), ends on Dec. 15, 2011 at 7:00pm (Manila time). All valid entries will be tallied and a winner drawn via a List Randomizer website. We will announce the winner within 36-48 hours (or asap). Winner must respond within a reasonable period, preferably 2-3 working days. – We will not answer inquiries about the number of entries you entered. We are very efficient in monitoring giveaway entries so do not worry. We will not notify a user if his entry is invalid. Avalon.ph reserves the right to invalidate entries that are considered ‘dubious’, ‘malicious’ or from ‘fake’ accounts. – Upon willfully engaging an entry to this giveaway you are waiving all rights to contest the rules, our handling of this giveaway and the results. COMMON SENSE apply on all disputes, loopholes and oversights. Avalon.ph is the SOLE arbiter to decide which entry is valid. Avalon.ph reserves the right not to really change, but to fine-tune the mechanics as we see fit during the duration of the giveaway. Good luck and have a joyous 2011 December! Moleskine Photo credit: Jacq Cole. Inside page photos for reference only. 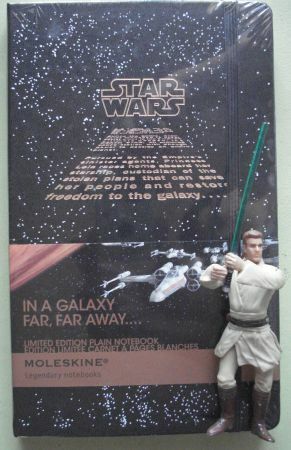 Moleskine Star Wars Limited Edition Giveaway! 11/08/11: Updated with Google+ point entry. Details below. A long time ago… well almost 13 years ago, Avalon.ph was established (you can read our short history here). It was 1999, the Philippine Internet community is buzzing with companies and websites riding on the dotcom boom. Unfortunately after 13 years, most didn’t make it. Since 1999, Avalon.ph continues to be one of the most patronized local online shopping websites in the country. We would like to say “thank you” again for your amazing support. To end 2011 we would like to give you an opportunity to win some of the most coveted items this upcoming Holiday season. Here’s your chance to win a Moleskine Star Wars Large Limited Edition Plain Notebook! Not only that, by joining this giveaway you are also increasing your chances of winning our next one (a Moleskine planner)! Read on for the details. A limited edition dedicated to the greatest space epic ever told combines classic Moleskine features with exclusive artwork from the original 1977 film. 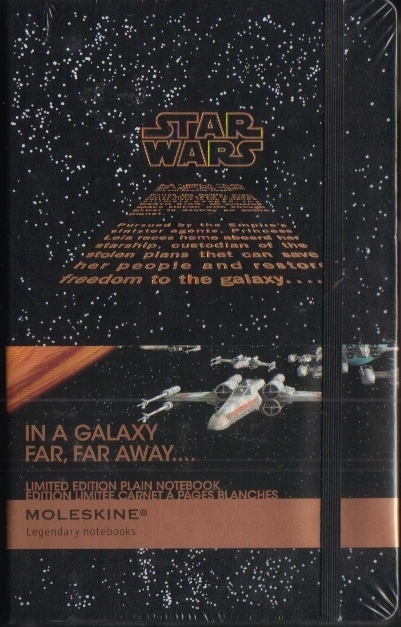 The Moleskine Star Wars Large Plain Notebook is presented in a black hard cover with silk screen printed and debossed Star Wars graphics, quotes, logo and a paper band with a fleet of X-Wings. 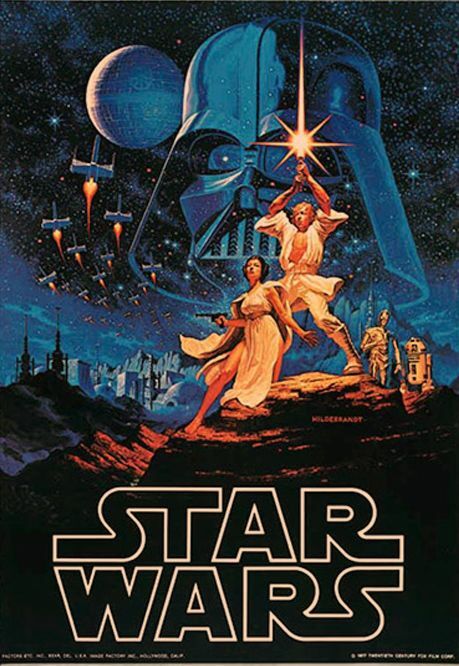 The inner pages are decorated with material from the Lucas film archive and include bespoke Star Wars paper inserts or stickers and full-colour end papers. Features 240 pages of acid-free plain paper, pocket, ribbon and elastic closure. Note: Entry won’t count if for some reason you unintentionally talked about … Star Trek. 4. Tumblr (+1 point). Check out avalonph.tumblr.com and reblog the specific Moleskine Star Wars entry posted in this Tumblr link. No follows required. Giveaway Twist: All points earned participating in this giveaway will have a chance to count as extra entries in our next one (Moleskine 2012 Large Planner). Make it so that you join now and increase your chances of winning! – Giveaway starts on Nov. 2 (Wednesday), ends on Nov. 16, 2011 at 1:00pm (Manila time). All valid entries will be tallied and a winner drawn via a List Randomizer website. We will announce the winner within 36-48 hours. Winner must respond within a reasonable period, preferably 2-3 working days. Good luck and may the force be with you! 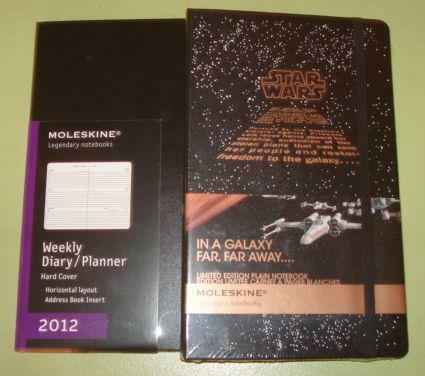 Website note: We do not have stocks of the Moleskine Star Wars Notebook and the Moleskine 2012 planners. Sorry! Moleskine Limited Edition Plain Notebook (Hardbound, Large)! Moleskine Weekly Diary/Planner (Hardbound, horizontal, large)! Details coming on or before November 1, 2011. 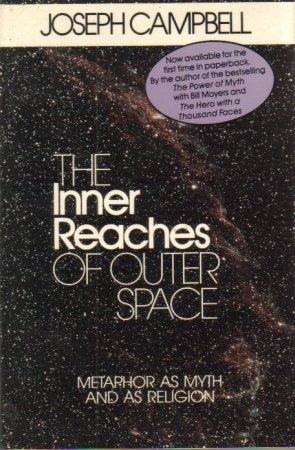 New Books Posted, Oct 2011 & Free Shipping Offer! FREESHIPFTW is back! Free Shipping within Philippines (conditions apply). 1. 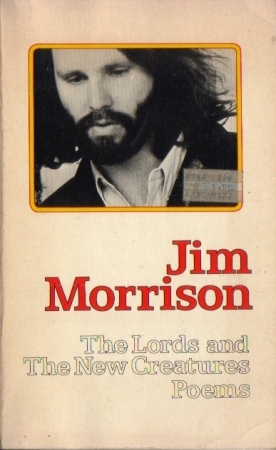 Products included in this Free Shipping Offer: Books only. For “over-sized” books we will inform you availability of this offer. 2. Minimum purchase of PhP800.00. Transaction must be paid within a *reasonable* period. 3. Moleskine, Fashionary, Novelty and non-books items not included. 4. Your mailing address must be a regular service area of 2GO. If you opt for LBC because of 2GO’s non-serviceable area or other services Free Shipping won’t apply. Sorry! Valid until October 31, 2011. FREESHIPFTW is only valid for book orders above PhP800.00. Here are some new books postings for October, 2011. Foul Play! : The Art and Artists of the Notorious 1950s E.C. Comics! UPDATE (Nov. 18, 14:20): Out-of-stock. Thank you very much! 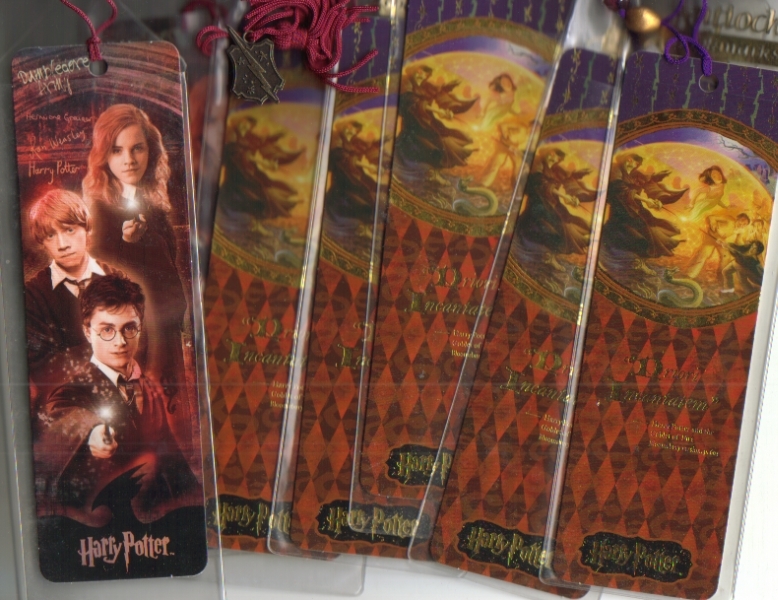 Purchase anything on the website that’s for SHIPPING and you get a free Harry Potter bookmark! Sorry, no pick-ups! Bookmarks are LIMITED (around 8 to be given away) and once we run out we will announce it on our Twitter account: avalonph. Promo ends November 22, 2010 or when supplies last. Common sense and Conditions apply (no late payments, etc).